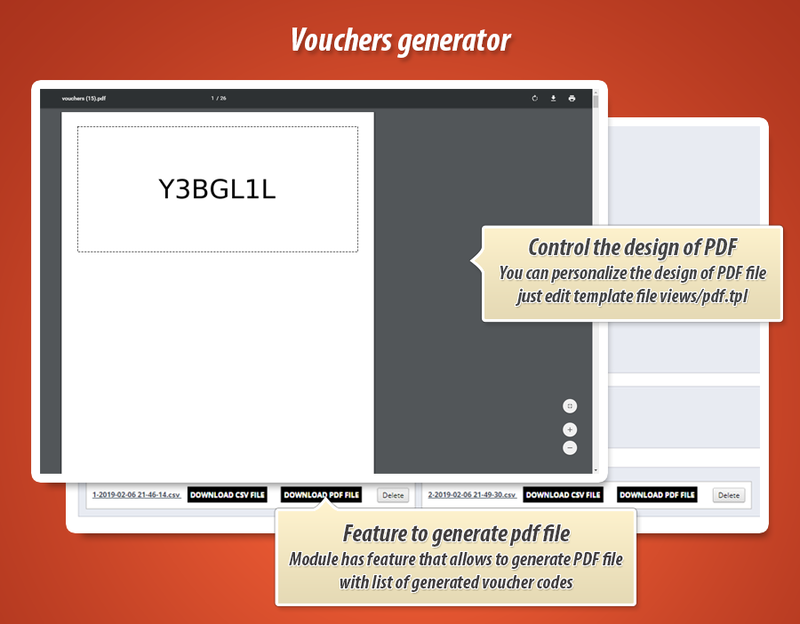 One of the prestashop features is possibility to generate and add voucher codes to your shop. Customers can use vouchers to get some benefits. In prestashop back office you can generate only one voucher code by one time. 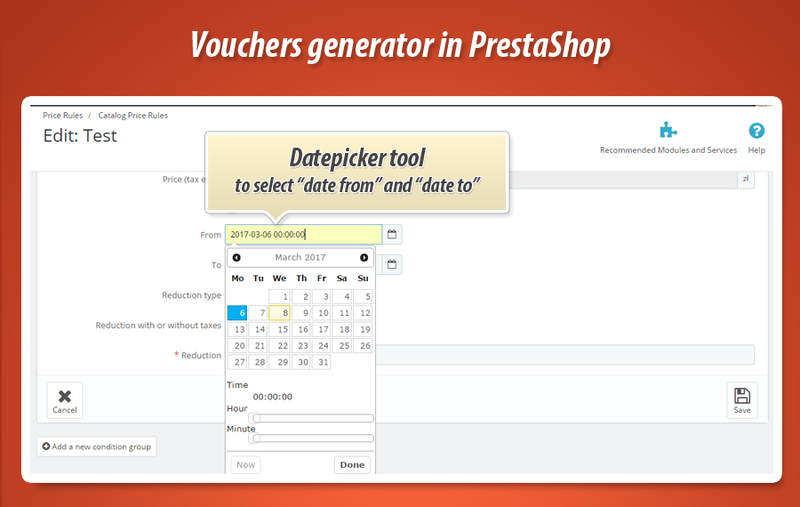 Prestashop Vouchers Generator module allows you to add many voucher codes, the exact amount as you need! Module works with newest version of PrestaShop 1.6.x 1.5.x 14.x ! For each created action you can define voucher code. Of course, you are able to define detailed voucher settings. It works the same as the default voucher codes feature - so you've got very detailed options to specify voucher code. 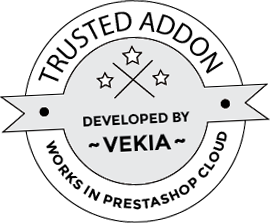 Each voucher code will be individually created for each customer. It just mean that each voucher code will be different. You can give "free gift" - with this feature you can select product with selected attribute - customer will get it for free as a "gift"
- added feature to support prestashop 1.7 feature "exclude discounted products"
- this option, when enabled the voucher will not apply to products already on sale. 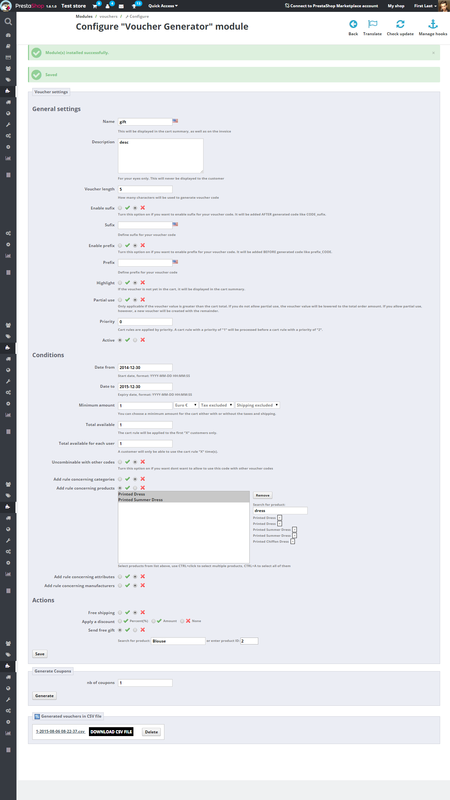 This is back office demo for PrestaShop 1.6, please log in with credentials below. Then go to modules > modules section and search for "vouchers" addon.